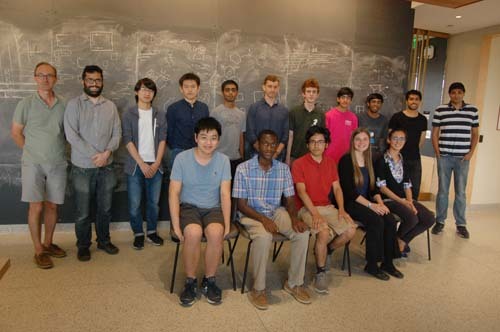 SPUR, the Summer Program in Undergraduate Research of the MIT Mathematics Department, is a program for MIT undergraduates founded in 1996 by Professor Hartley Rogers. SPUR faculty advisors are Prof. David Jerison and Prof. Ankur Moitra. The program director is Dr. Slava Gerovitch. 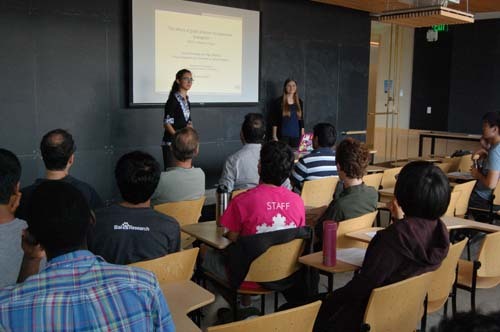 SPUR is open to all MIT undergraduates, not just math majors. 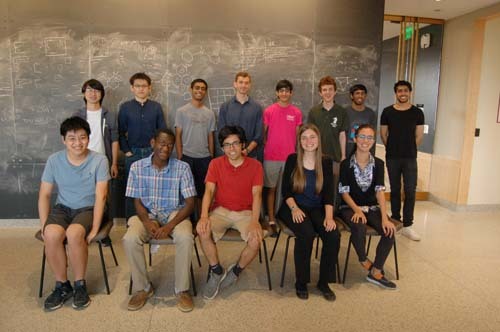 Up to 10 undergraduates are supported each summer, the majority in the summer after their first or second year at MIT. SPUR is often their first taste of mathematical research. Past participants are not eligible to apply in subsequent years. To qualify, students are expected to be fluent in mathematical reasoning and to possess a lively interest in mathematics and a serious desire to try out and develop their research abilities and skill at communication. Students in the program work full time for six weeks on original individual or joint research projects, depending on their preferences and availability. They are matched with a mathematics graduate student mentor with compatible interests. 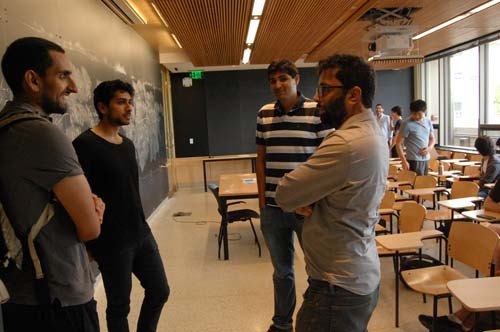 The graduate student mentor devises a research project, often in consultation with an MIT faculty advisor. Students meet with their mentors for about an hour each weekday. 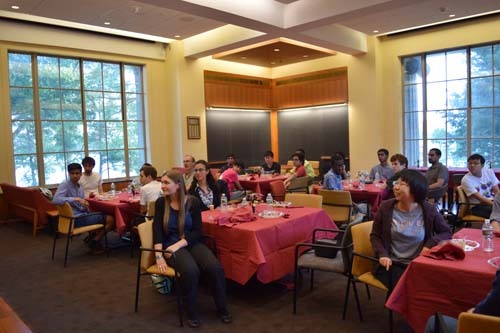 Each week during the program, the entire group of undergraduates and mentors meets for a seminar and discussion with a faculty member. 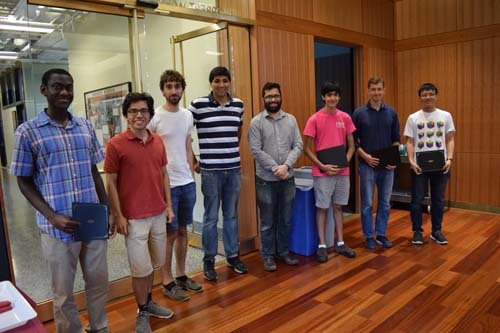 In the final days of the program, the undergraduate writes a short paper (about 10 pages) describing his or her progress and presents a 20-minute talk to the mentors, to the other undergraduates in SPUR, and to a panel of faculty members. SPUR+ is a recently added program, running in parallel with SPUR, but starting a bit earlier to include three weeks of guided reading in preparation for research. SPUR+ students will work on projects in teams of two. SPUR+ program is specifically targeted for young women and students of color. If you would like your SPUR application to be considered also for SPUR+, please check the appropriate box on your SPUR application. Students in the SPUR+ program meet with their mentor three times a week for 1.5 hours during the guided reading period. Starting June 24, SPUR+ operates in the same way as SPUR. Up to four undergraduates will be supported under SPUR+ this summer. STUDENTS MUST BE PRESENT DURING THE ENTIRE PROGRAM. The deadline for SPUR-2019 was February 14, 2019. Applications for SPUR-2020 will open in late January 2020. Browse a listing of abstracts and papers from past research projects and participants by year. After the final presentation, the faculty panel awards the Rogers Prize to the best student-mentor team or teams. The prize was funded in honor of Professor Rogers by his family. A list of past award recipients can be found on the graduate student awards page. In 2019, each undergraduate SPUR participant will receive a stipend of $4,500. The SPUR+ stipend is prorated for 9 weeks for the total of $6,750.